Mosquitoes can be annoying due to their itchy impact and the bite marks that they leave behind that cause severe irritation. With kids in the vicinity, this can be quite distressing on the whole family. Above all this is the promising mark it leaves behind by spreading dangerous and deadly diseases. To name a few, malaria, dengue, West Nile virus, chikungunya, yellow fever, filariasis, tularemia, dirofilariasis, and Japanese encephalitis have a potential to cause death. There are numerous previous records of high death rates due to fatal diseases spread by mosquitoes. Mosquito infestation needs effective control; use mosquito control services to ensure that your health is not at risk. Mosquitoes puts anyone at risk and are most prone in areas of high humidity and dampened areas. They usually are tolled up in the monsoon season or after the rainfalls. Their activity falls below normal during the rise of the summer season. How does a mosquito get attracted? Mosquitoes have found to be habituating very close to water bodies where their larvae retain the proper environment for growth. Mosquitoes have a deep sense of attraction towards darker colors. They get attracted to a human body based on the carbon dioxide and lactic acid release. So, a bigger person tends to draw more mosquitoes. Mosquitoes are massively nocturnal in nature; they hunt for their feed exclusively during dawn or dusk according to their biological clocks. People who sweat profusely or people just out of the gym would entice mosquitoes in large amounts, due to the higher lactic acid produced. It’s a juicy meal for the mosquitoes! If it’s your home, it poses a danger to health and hygiene. If it’s your workplace, apart from health concerns, it can widely effect your business and opportunities and break employees’ trust and the company’s reputation. Hence mosquito control services near you are of prime importance and are the need of the hour. Is a mosquito a serious peril? There have been innumerable cases in the past that have proven that mosquitoes are a probable threat to human life. According to the statistics laid down by the world health organization (WHO), malaria and dengue are the most spread diseases which have infected over 30 million people a year. That is just an enormous number to take in. These aren’t just mere numbers but a statistic that has further concluded that there is a healthy number of mosquito breeds that can cause diseases apart from dengue and malaria. Annually many countries have spent an excessive amount of money to eradicate the harmful effects caused by these minuscule insects. Mosquito pest control services become an essential prerequisite in totally abolishing the reasons of innumerable deaths due to mosquitoes and their breeds. How to avoid mosquito infestation in your niche? A good idea in preventing a mosquito infestation at your business place or place of residency is to prevent them from breeding in your locality completely. A professional mosquito control service will fetch the desired results with the best expertise. Prevent exposed skin when in open places, as this might increase the risk of mosquito bites. They attack predominantly during dusk and early hours of dawn. Take precautions during this time. Engross with mosquito sprays and repellents whenever possible on the areas of exposed skin if roving outdoors. Prevent pits and gutters from being blocked to prevent stagnations. Avoid leaving standing water unattended as its puddles could be a potential spot for extensive mosquito breeding. 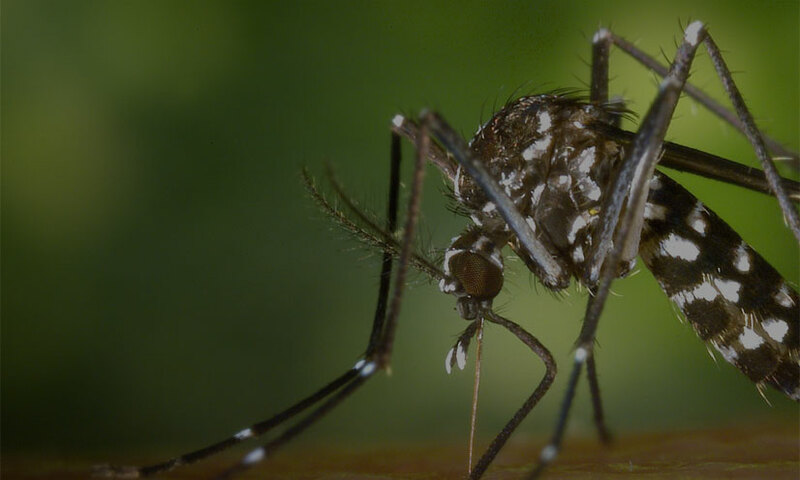 Another traditional method of controlling mosquito population will be by the use of mosquito traps or lethal ovitraps which provide artificial breeding spots for mosquitoes to lay their eggs. Mosquito control services can provide further assistance regarding this. Introducing specific varieties of fishes like Gambusia affinis, a dragonfly that consumes mosquito larvae, or guppies into water bodies could help keep track of mosquito infestations in the surrounding areas. A mosquito control service near you could be of immense help for this matter. Block the entry of the mosquito clan into your house by shutting open windows. Using screens could be of greater help than before. This mosquito menace could appear to be a simple problem that could be addressed, but to raid down the mosquitoes completely, professional pest control in the mosquito control service area would be reliable to ensure complete protection and a mosquito free environment. What are the possible signs of a mosquito invasion? Itchy bites are an instant identification strategy that mosquitoes are prevailing. The bites could become inflamed or swollen. Bothersome, frequent high pitched buzzing sounds occurring over varied intervals of time during the peak time of dusk and dawn makes true of their presence. Make sure to follow the precautions mentioned by the mosquito control services near you. Excessive plants and vegetation, as well as shady areas, could also attract insects such as mosquitoes. The damp environment of vegetation can act as a fruitful place for the mosquitos to inhabit. Spots of stagnant water containing larvae lingering around are one of the main habitats for the mosquito clan. Decide to call the mosquito services near you if anyone in your locality has contracted dengue or malaria and these diseases keep spreading. Rainy seasons are the perfect time to ensure taking adequate mosquito control service methods. There are innumerable methods to control mosquito infestations. A proper mosquito control services aim at managing the mosquito population and reducing their damage to human health. Mosquito control services are majorly targeted over three different problems which include, nuisance mosquitoes that bother people, economically important mosquitoes that induce great negativity on the living habitat of people also trying to affect tourism, business, and other values, and thirdly, the public health where mosquitos act as transmitting vectors. With any mosquito control service, it aims at source reduction and biocontrol methods to bring down the mosquito population. There are various control methods which include introducing sterile mosquitoes, larviciding, thermal fogging, misting and many more. Contacting a proper mosquito control service near you will definitely be helpful in eradicating the deadly diseases alive around you, so give Bug Busters a call today to schedule your free inspection to start ridding those pests immediately.